When you turn on the TV, of all the news, nothing but watching that "an eight year old killed herself" could be more terrifying. Can you imagine how desperate, unhappy and desolated the girl must have felt to have become suicidal? What could have happened to this girl to make a decision like that? Bullying. Unfortunately, everyday people from all over the world are being bullied. An estimated 200 million children and youth around the world are being bullied by their peer according to the 2007 Kandersteg Declaration Against Bullying in Children and Youth. But Statistics get worse for girls. According to a recent study from Murdoch Children's Research Institute, girls were much more likely than boys to be victims of both cyber and traditional bullying. With most of the schools talking about bullying and the media regularly reporting on the latest research, it would seem like we're part of a new phenomenon but the thing is, bullying has always existed. Explain bullying: Teachers, parents and anybody in charge of children and adolescents is responsible in educating the youngsters about what bullying is and explain regularly why bullying is disapproved and why. It is important to tell them you don't want to take part in mistreating of another student at any level no matter how small. Have them acknowledge that bullying is wrong and it is less likely to bully others when they know their parents disapprove. Self Esteem: Love yourself. If you love yourself, it is easier for others to love you. Speaking assertively, expressing your own opinion, using a confident voice and having firm eye contact are signals of good self esteem. Always look at the positive side of others rather than expressing contempt and superiority. Remember that respect and confidence are the key; avoid people who don't treat you with respect. Build Friendships: Childhood and adolescence are the best life stages to make friends. Build and maintain, care and protect are steps to help you gain genuine friendships. Parents should encourage social activities such as after school plays and sleepovers to help their little ones start this process. So let's start preventing bullying! Let's bring an end to the horrible news on media and in schools. I'm sure this is possible. And please, please... just the last message: We have to face up to that one time we've witnessed bullying. 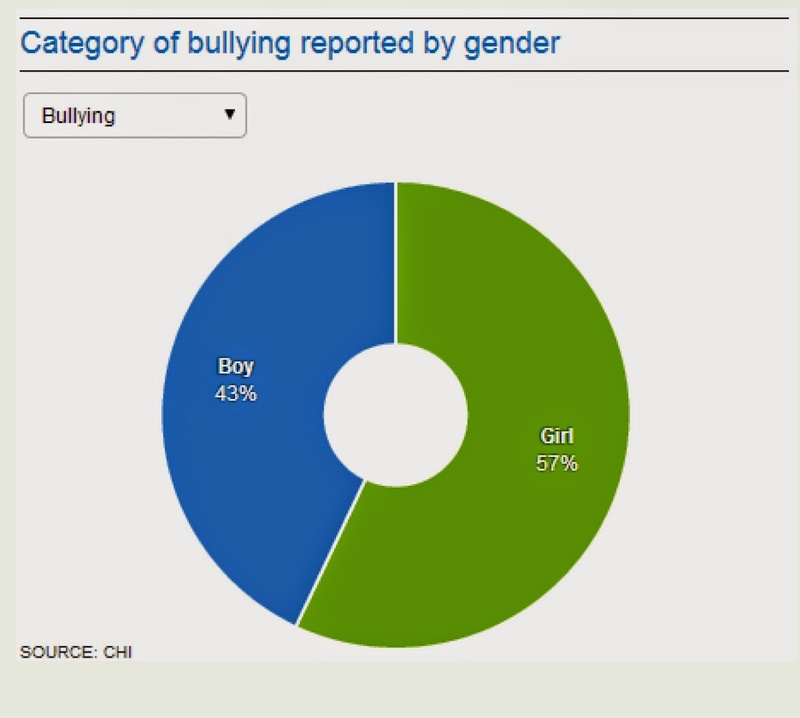 Do not keep quiet about it, report all incidents of bullying that you are aware of. Report to teachers, to parents and when possible, show interest in getting to know the victim. The end of all forms of bullying begins with you and me. For free Resources on Bullying Prevention click here. and learn more facts about bullying here, plus silicone bands to prevent bullying. Also read What is Cyber bullying and How to Stop It. Diana, 21, from Peru is an International Business student and a teacher too. She would love to travel the world, study translation to learn different languages, start her own company one day and contribute to society through education. IN HER OWN WORDS: " My name is Diana and I am 21 years old. I have a small family I love: mum and brother, and a boyfriend I adore. I’m Peruvian and I have lived all my life in Peru and haven’t finished knowing it. My country is so big, so beautiful; I’m so in love of my country! – think you could notice that. I’m studying international business administration, although in fact I always wanted to study translation since I love learning languages, but I decided to do business because someday I want to start my own company so I can show everybody what beautiful things we have here and travel and travel around the entire world doing that, while at the same time I can help my compatriots by giving them work. I could define myself as a woman committed to every goal she sets, that loves meeting new people and very competitive! In addition to my studies I am a teacher, which I discovered it’s kind of my real vocation. I teach children and adolescents and I believe it’s the best contribution I can make: education."